With the Total Artificial Heart, Mr. Marshall is in good physical shape. He can walk around, he can exercise and he is eating better. When a donor heart becomes available, he'll be in much better condition to undergo his heart transplant. SynCardia Systems, Inc., manufacturer of the world’s first and only FDA, Health Canada and CE (Europe) approved Total Artificial Heart, announced today that on March 21, University of Washington (UW) Medical Center became the first hospital in the Pacific Northwest to discharge a patient without a human heart. Christopher Marshall, 51, is now waiting for a matching donor heart in Seattle using the Freedom® portable driver to power his SynCardia temporary Total Artificial Heart. On Jan. 23, Mr. Marshall and his wife Kathy traveled from their home in Wasilla, Alaska, to Seattle for what was supposed to be a one-day heart evaluation. However, doctors discovered his heart was functioning at less than 10 percent, and didn’t think he would survive the flight home. 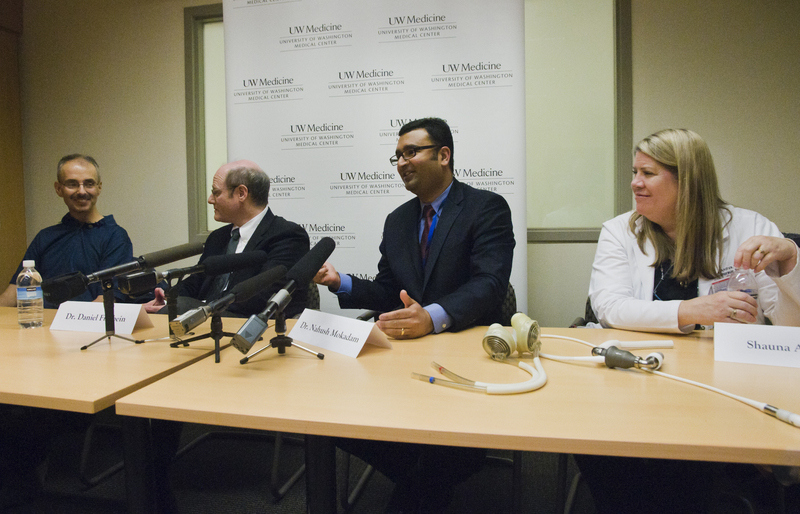 He was implanted with the Total Artificial Heart during a six-hour procedure on Feb. 6. 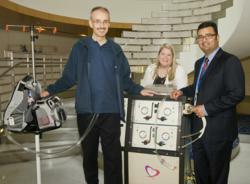 "With the Total Artificial Heart, Mr. Marshall is in good physical shape. He can walk around, he can exercise and he is eating better. When a donor heart becomes available, he'll be in much better condition to undergo his heart transplant," said Dr. Mokadam. Mr. Marshall had been diagnosed in 1999 with idiopathic cardiomyopathy, a disease that destroys the heart muscle over time, and ventricular tachycardia, an irregular fast heartbeat. Over the last 12 years, his implanted defibrillator shocked his heart 30 times to get it back into a normal rhythm, and his heart condition worsened dramatically last year. "Now that I'm on the Total Artificial Heart, I'm not having any shortness of breath... and I walked four miles the other day around the ward," said Mr. Marshall. On March 21, Mr. Marshall was discharged to a house he and his wife are renting in Seattle instead of their home in Wasilla so that he is close by when a donor heart becomes available. With his Freedom driver, Mr. Marshall is looking forward to taking hikes in the Seattle area with his wife and his dog that was recently flown down from Alaska. "He has an attitude like I've never seen in anybody else,” said his wife Kathy. “He's actually my hero. He just has this upbeat, amazing attitude." The Freedom portable driver is CE approved for use in Europe and undergoing an FDA-approved Investigational Device Exemption (IDE) clinical study in the U.S.